← What the Hell is Quality? If you have been following my blog (Who hasn’t? ), you know that I am writing on the topic of evaluation quality, the theme of the 2010 annual conference of the American Evaluation Association taking place November 10-13. It is a serious subject. Really. But here is a joke, though perhaps only the evaluarati (you know who you are) will find it amusing. 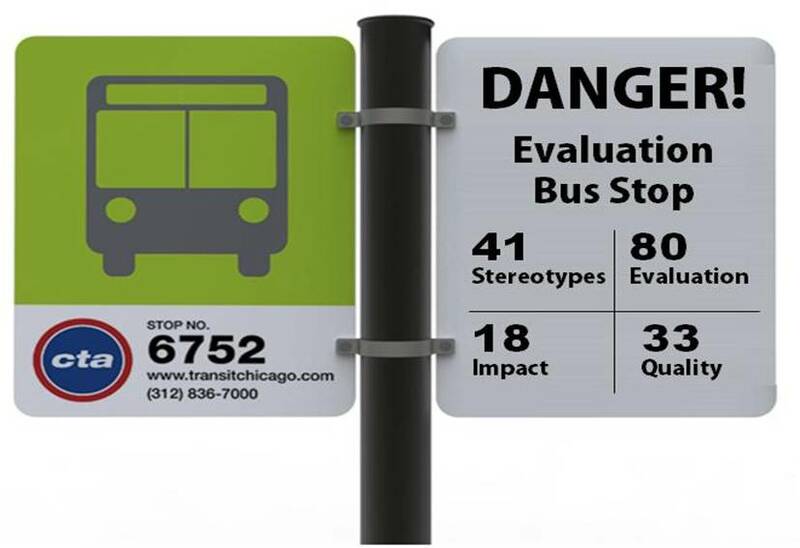 Very dismayed, the normal person runs away screaming, the bus collides with the quantitative and qualitative evaluators, and it kills both instantly. To the extent that this is funny (I find it hilarious, but I am afraid that I may share Sir Isaac Newton’s sense of humor) it is because it plays on our stereotypes about the field. Quantitative evaluators are branded as aloof, overly logical, obsessed with causality, and too concerned with general rather than local knowledge. Qualitative evaluators, on the other hand, are suspect because they are supposedly motivated by social interaction, overly intuitive, obsessed with description, and too concerned with local knowledge. And statisticians are often looked upon as the referees in this cat-and-dog world, charged with setting up and arbitrating the rules by which evaluators in both camps must (or must not) play. The problem with these stereotypes, like all stereotypes, is that they are inaccurate. Yet we cling to them and make judgments about evaluation quality based upon them. But what if we shift our perspective to that of the (tongue in cheek) normal person? This is not an easy thing to do if, like me, you spend most of your time inside the details of the work and the debates of the profession. Normal people want to do the right thing, feel the need to act quickly to make things right, and hope to be informed by evaluators and others who support their efforts. Sometimes normal people are responsible for programs that operate in particular local contexts, and at others they are responsible for policies that affect virtually everyone. How do we help normal people get what they want and need? I have been arguing that we should, and when we do we have met one of my three criteria for quality—satisfaction. The key is first to acknowledge that we serve others, and then to do our best to understand their perspective. If we are weighed down by the baggage of professional stereotypes, it can prevent us from choosing well from among all the ways we can meet the needs of others. I suppose that stereotypes can be useful when they help us laugh at ourselves, but if we come to believe them, our practice can become unaccommodatingly narrow and the people we serve—normal people—will soon begin to run away (screaming) from us and the field. That is nothing to laugh at. Quality isn’t a joke but you start to make a good quality evaluation between three ideal types. Quality is not an end. It is a thing that we try to make good. John, what a classic – love it!! And a nice reminder that causation can happen right before our (and others’) eyes at times. We shouldn’t forget “normal” people’s observations as an important and compelling source of evidence. Glad you liked it. While not OF the normal people, we evaluators can be FOR them. I reckon that during my career I have played all four parts in that little scenario, sometimes all at once. Maybe I should consider an off-broadway one-man show? I vote for a skit by John and Jane. Great joke – and perhaps a salutory reminder of the potential importance of Real Time Evaluation, the triangulation of evidence from a range of sources, and embracing the full extent of the methodological toolbox! A more serious analogy – the bus is a changing climate – and we are all in danger of assessing the ‘behavioural’ risks from our own prejudicial perspectives. Joining the IWHTM club – it won’t happen to me! Well, it just might and it’s bite is bigger than it’s bark! I like the metaphorical extension—so I’ll push it a bit further. One of the issues frequently raised in evaluation and climate change is whether the evidence is credible. What is rarely examined is how credible the evidence needs to be to take action. In the joke, it takes little effort to step away from the bus stop. If it turned out that the bus was, in fact, not a threat, this effort would have imposed a trivial cost on those seeking to hedge the risk of their own demise. Within the invented context of the joke, we don’t need evidence of the highest quality to take action—just high enough to establish that the risk is plausible. In the context of the real world, I believe we can usefully view climate change in the same light. The evidence for human-driven climate change, which is very credible, does more than establish the plausibility of risk, and the cost of taking action is small. Many have argued that the cost of action is not small, but in comparison with the potential negative consequences of climate change and the ancillary benefits of taking action (especially health benefits), the cost is indeed small. So why as there been little action? The payoff period is long in comparison to professional careers and investment horizons. Consequently, unlike the joke about the bus, action depends on the actors valuing a social payoff over a personal payoff. Not likely. In other words, as long as your limo arrives before the bus, why worry?